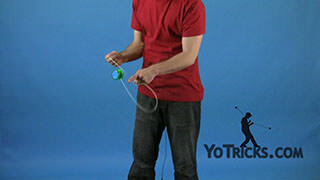 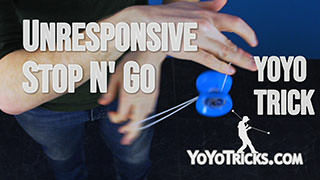 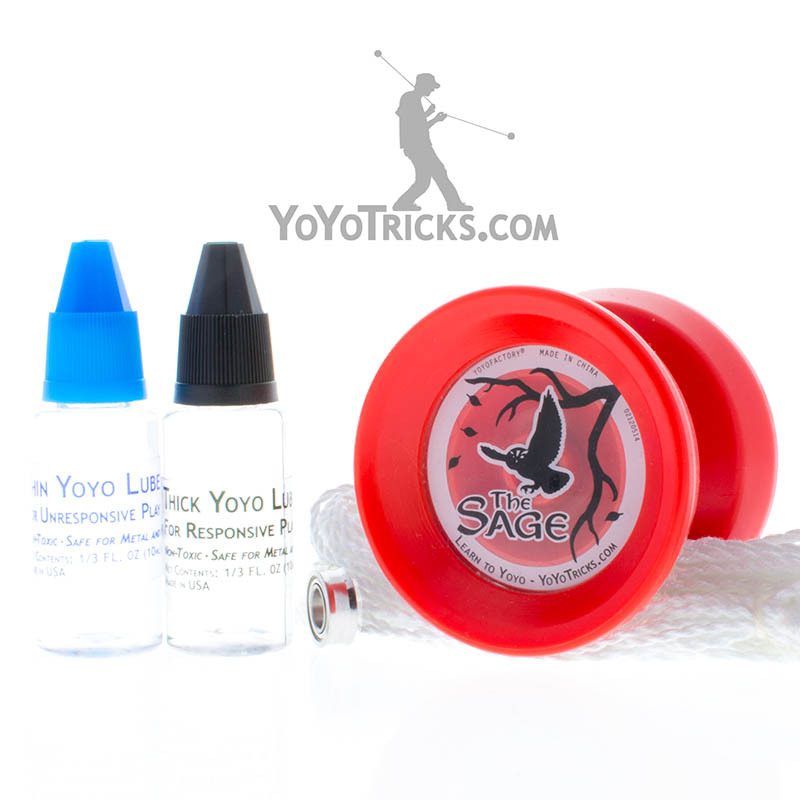 Learn the basics of the Green Triangle Yoyo Trick. 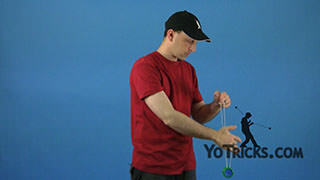 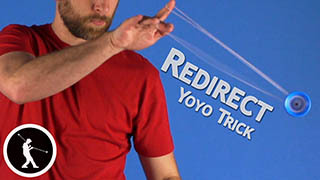 Green Triangle Basics Yoyo TrickIn this video I am going to teach you the basics of the Green Triangle. 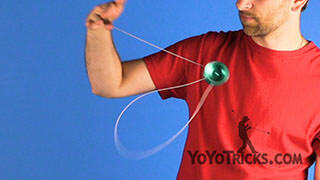 A Green Triangle is any trick where you get the yoyo into this string configuration right here. 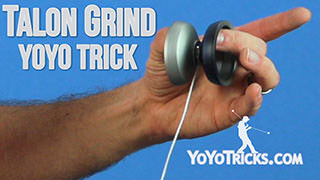 You can’t really get it out any way. 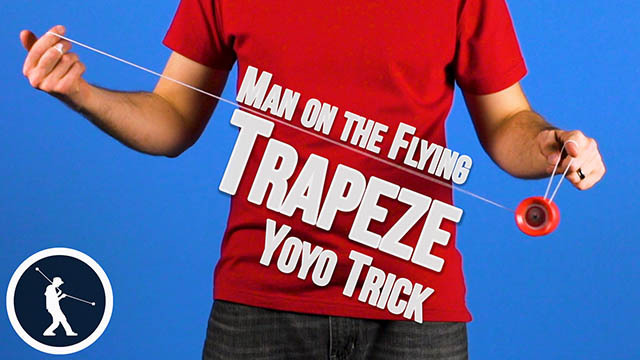 You can’t really drop it because it will get into a knot, so you just need to pop it out one side and hopefully get it back onto the trapeze. 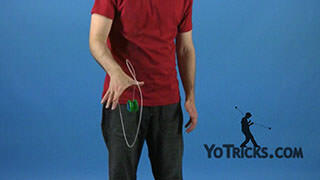 The truth is, the Green Triangle is not so much a trick, as a destination. What I mean by that is there are a lot of tricks where they have multiple elements and they can end different ways, so this trick ends with the One and a Half Mount, as you can see. 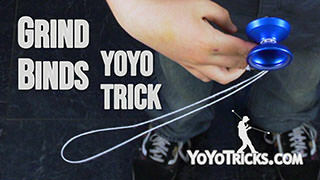 But if you decide to do the same trick but decide to end it with a Green Triangle, it just looks a lot more impressive, it is a little more dangerous because you can get a knot in the string, so that just makes it feel better to an audience, and that just makes it a better trick. 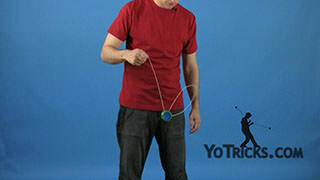 So let me just show you one Green Triangle trick, this trick is pretty easy to get into, and then you can use this trick to help you learn how to get out of the Green Triangle without getting that knot. 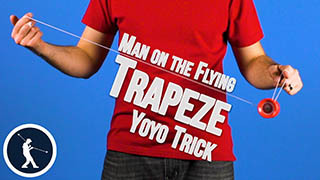 So, to get into this one, what you want to do is, it is very similar to the Man on the Flying Trapeze and His Brother, except you are going to go behind the string and mount it over your hand, just like this, and then let the rest of the string fall off of your hand. 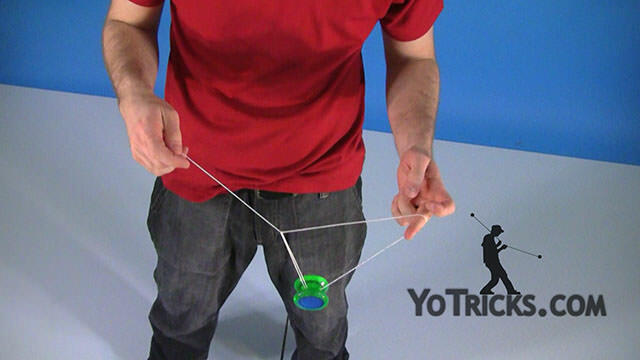 Now, this particular Green Triangle, you need to pop the yoyo out toward yourself, out the back, so to do that you are just going to hook the string and bend the string forward just like that, and pop the yoyo up, and that is how you get it out. I told you that Green Triangles can get into knots. 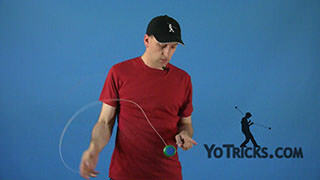 If I were to do the same trick and pop the yoyo out the front of the string, then when I brought it back to my hand I would find that I had a knot in my string, which is what you want to avoid. 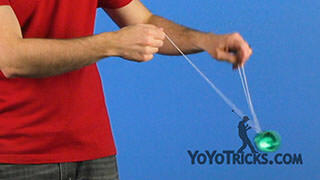 There is another way that you can get out, without bending the string. 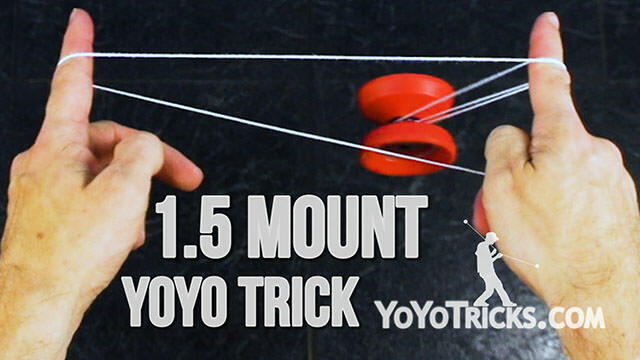 What you can do is move this top string forward a little bit while you are trying to get out. 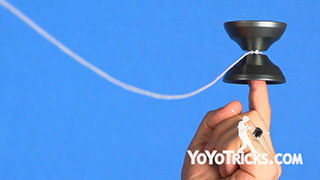 That gets the string out of the way just enough to get the yoyo out. 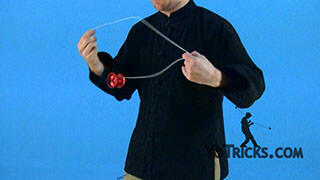 You want to pay attention to different Green Triangle Tricks. 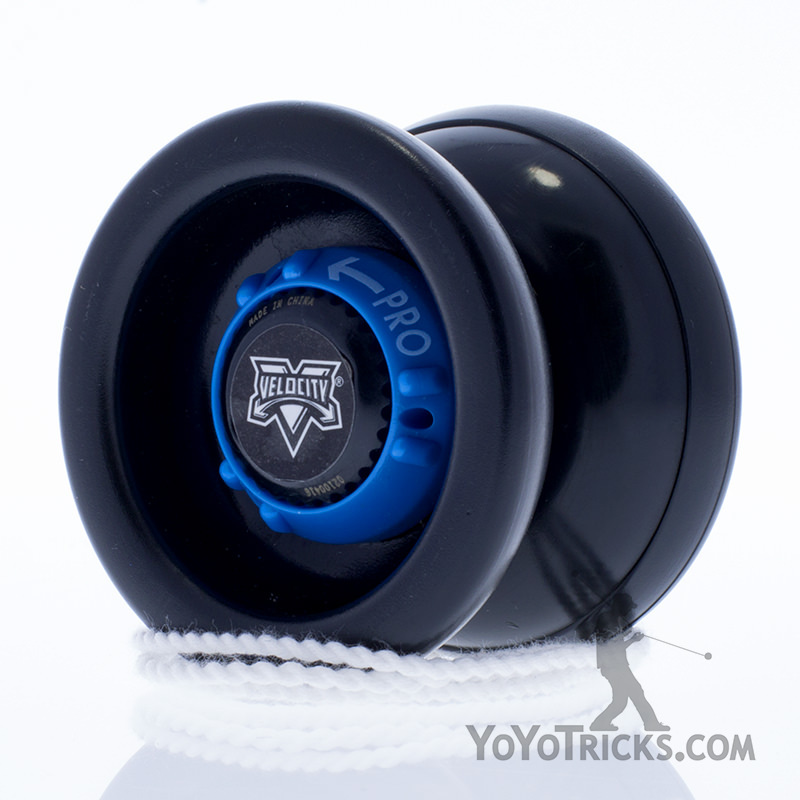 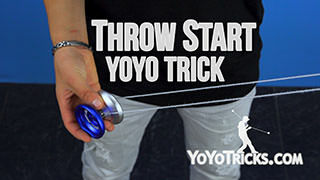 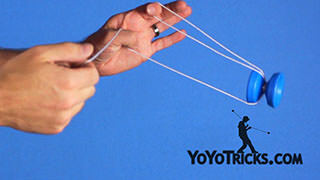 For example this trick here, (GT Laceration) you do not pop the yoyo out the back, you pop it out the front. 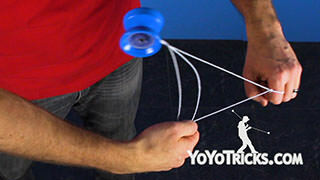 That is what gets you out of it. 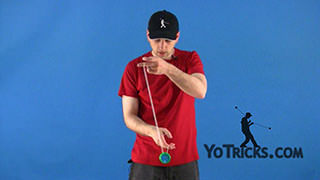 As we explain these tricks in our different videos, we are going to let you know, ok, you need to get this one out the front, this one out the back. 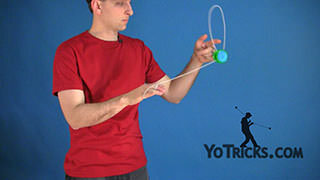 As you make up different Green Triangle tricks you will just have to pay attention; Ok I will always need to get this one out the back so that I do not get that knot. 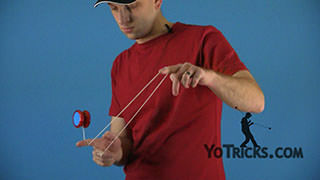 As long as you are doing that you are going to be just fine. 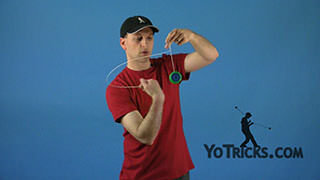 And that is the basics of the Green Triangle.